Last week, I posted Part 1 of my “Spring into Third Term” book collection and this week, I’m excited to continue with Part 2! 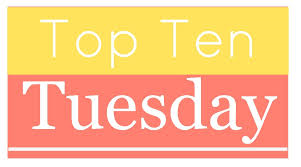 Lots of great books in this list – from global warming, to Earth day, to celebrating imagination and creativity… there is sure to be a book for you and your class here! “Remember then with every try, sometimes you fail. Sometimes you fly. 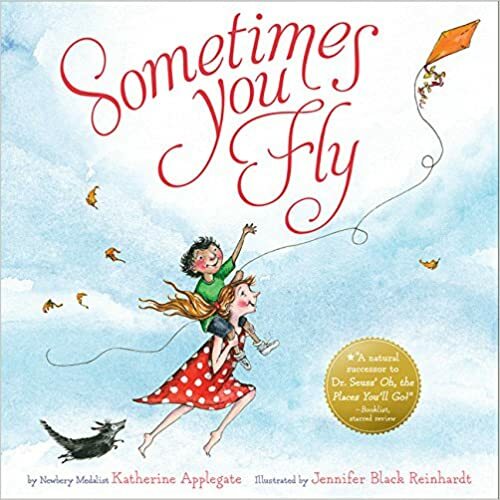 What matters most is what you take from all you learn.” And there lies the premise of this stunning new picture book by the amazing Katherine Applegate (One and Only Ivan, Crenshaw, Wishtree). Whimsical illustrations and perfect examples of how learning from mistakes will lead to great accomplishments. Would make a perfect gift for graduations, baby shower, first birthday. LOVE this one! 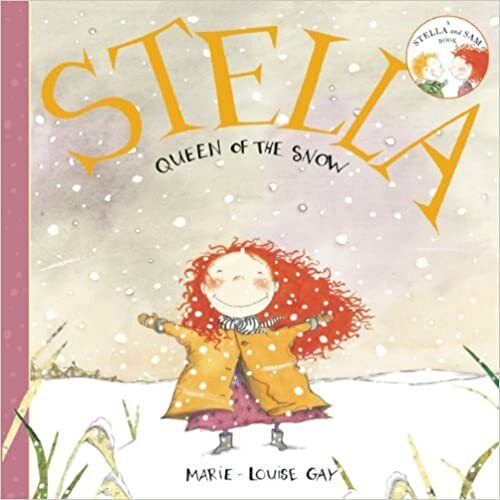 A great book to start conversations with younger students about celebrating individual choices and moving beyond “boys” and “girls” stereotypes. Charlie loves his purse and brings it to school one day. 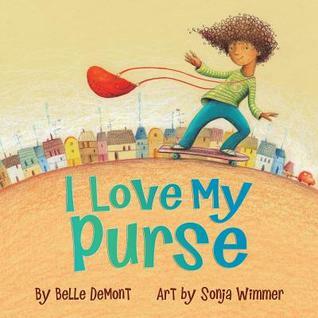 Despite the objection of others, he remains steadfast in his “purse love” and eventually influences others to tap into what they love as well, be it make-up, shirts or sparkly shoes. Wonderfully illustrated by Sonja Wimmer. 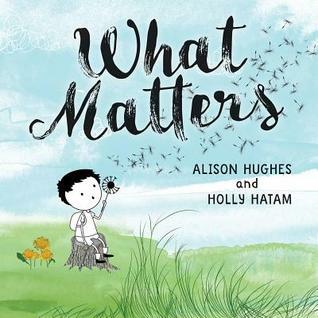 If you are looking for a new book for Earth Day... look no further! (Think Ordinary Mary’s Extraordinary Deed but for the earth!) A wonderful look at the ripple effect of how one small act – picking up garbage that isn’t yours – has repercussions to make the world cleaner and better. 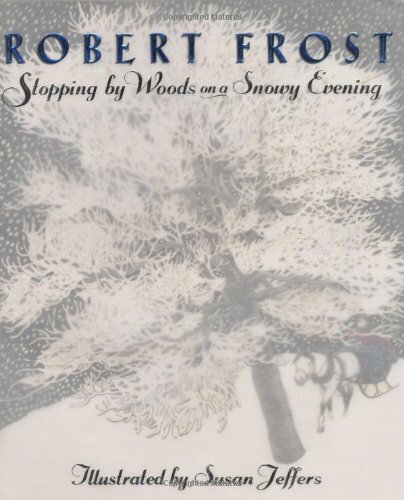 I also think this book would be great for introducing the concept of the inter-connectedness of ecosystems. 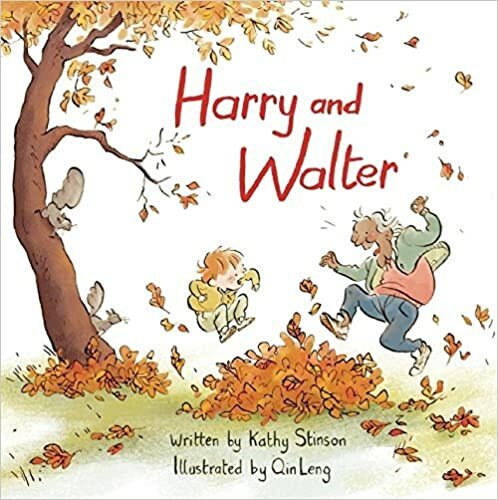 Endearing inter-generational tale of a wonderful, unusual friendship between Harry, who is 4 3/4, and Walter, who is 92 1/2. They live next-door and do all kinds of things together – ride their tractors, grow and eat tomatoes, and play croquet. Then, Harry has to move. This is a heartwarming story of friendship and the importance of elders in our lives. Whimsical illustrations by Qin Leng. This book actually came out last summer. I love Kathy Stinson and can’t believe I missed this book! 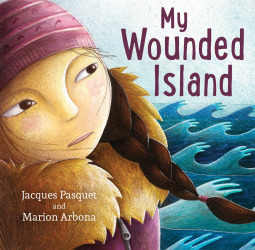 This book, originally published in French, is a heartbreaking story of a northern island slowly disappearing into the sea and introduces the concept of “climate refugees” to young readers (and to me!) 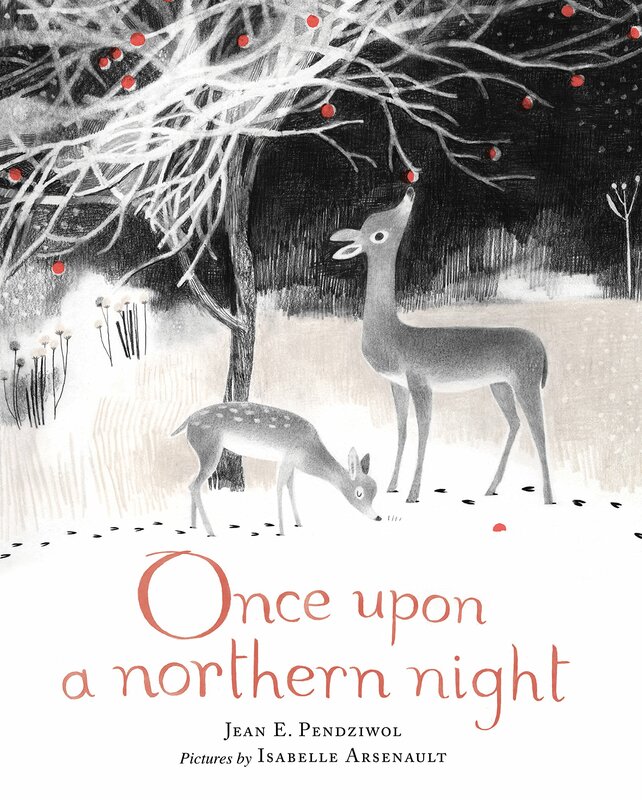 Beautifully written and gorgeously illustrated. Would make an excellent introduction to a unit on climate change or northern indigenous cultures. I also like the use of metaphor:”the beast” in the story is actually global warming. 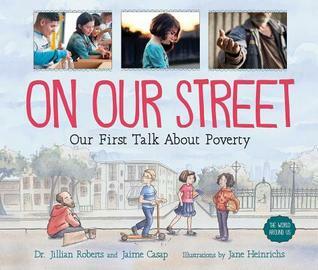 A gentle, honest book answering a series of questions about homelessness and different types of poverty. I really liked the mix of real pictures and illustrations, helping to make the information understandable and easy to relate to. I also enjoyed the addition of quotes. 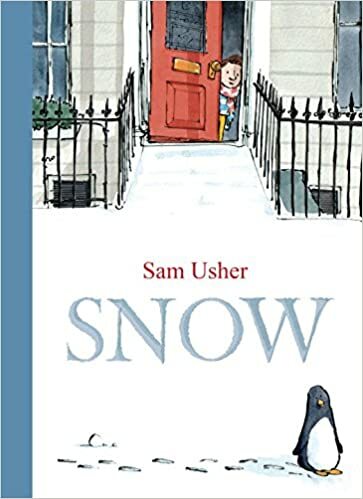 Not a book a child would necessarily pick up and read on their own, but definitely an excellent book to share and spark a class discussion. 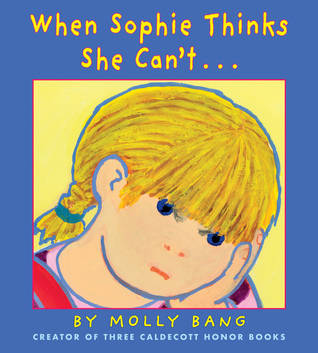 While I have used When Sophie Gets Angry- Really, Really Angry many times for making connections to managing feelings and emotions, this new “Sophie” book is the perfect anchor for introducing the concepts of “Fixed” and “Growth” mindsets to your students, as well as problem solving and perseverance. Would also be a great Math read-aloud as Sophie is frustrated with tangram puzzles. The sky tells many stories: in the weather, in the clouds, in the stars, in the imagination. 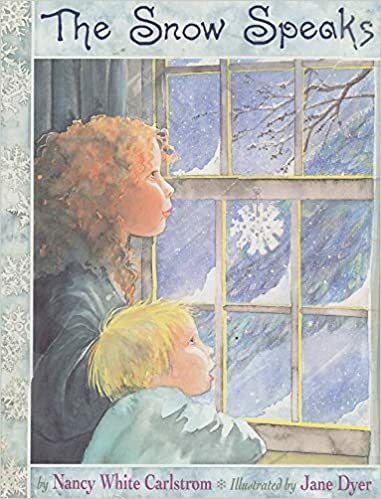 This book inspires us all to look up…. way up… and see and think about the sky in a different way. A perfect anchor book for spring, for art and for sharing and writing stories of the sky. 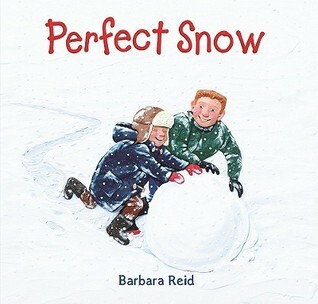 I am a huge fan of Barbara Reid’s work and her brilliant Plasticine illustrations. A perfect companion to her book Picture a Tree. 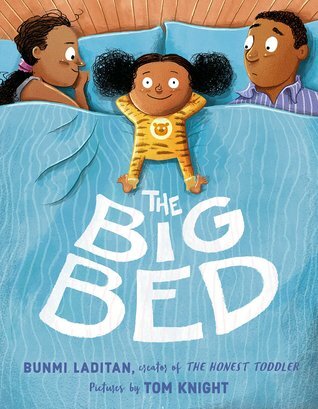 Humorous picture book about a girl who doesn’t want to sleep in her little bed, so she comes up with a plan to get her dad out of her parent’s bed in order to move in herself. 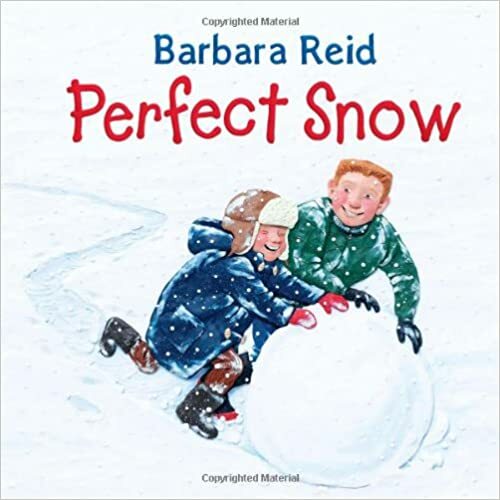 This would make a great anchor book for problem solving and persuasive writing as the little girl identifies the issue, researches it, and creates a very persuasive presentation of possible solutions. Any parent who has struggled with their kids’ sleeping arrangements will make LOTS of connections but wondered, at times, if parents would connect more than kids! 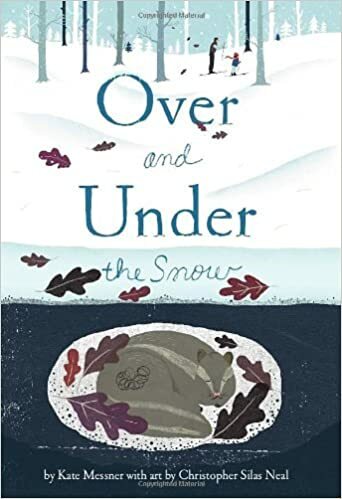 I really enjoyed this eerie tale told with lovely, lyrical text with wonderful word play, reminiscent of Lewis Carroll’s Jabberwocky. 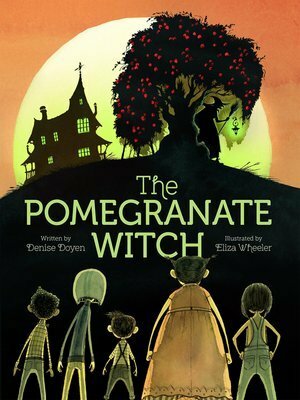 Five children plan to storm the wall and steal some pomegranates from a tree guarded by a witch. 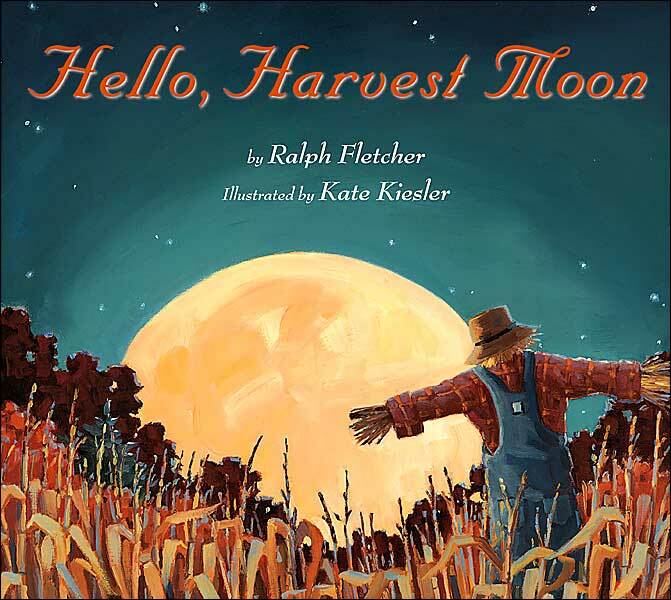 A great fall read-aloud and not-so-scary choice for leading up to Halloween. Gorgeous illustrations by Eliza Wheeler. If grains of sand were seeds, what kinds of things would they grow into if you threw them in your garden? Ice cream? Pinwheels? 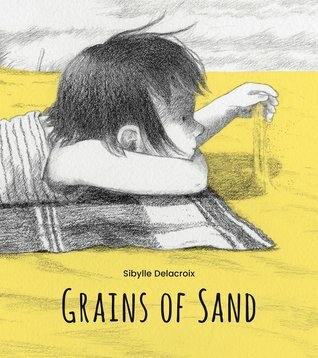 This is a short, sweet story of a boy and girl who bring sand home from the beach in their shoes, and then wonder what would happen if they planted it. 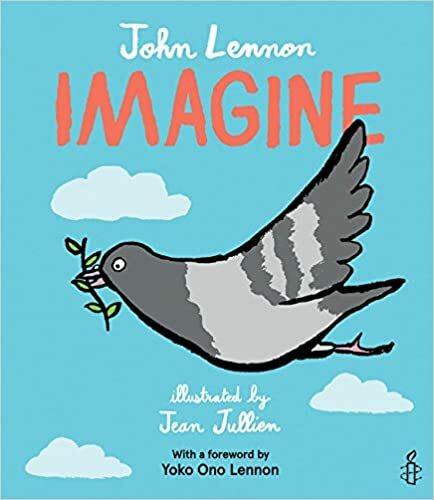 A perfect anchor book for inspiring “imagination pocket” writing! Love the simple black and white images with splashes of blue and yellow. Thanks for stopping by! Hope one or two titles caught your eye! I just returned from an amazing few days in Toronto at the 38th annual Reading For the Love of It conference. This is one of the biggest reading conferences in Canada – equivalent to the IRA in the US. Between 3,500 – 4,000 people attend this conference. I was very fortunate to be invited to present two sessions, (more about that in a later blog!) along with a spectacular line up of authors and speakers. There was a VERY large publishers display with an impressive number of vendors from local bookstores selling large collections of picture books and novels. So of course I used this as an opportunity to discover some new titles! 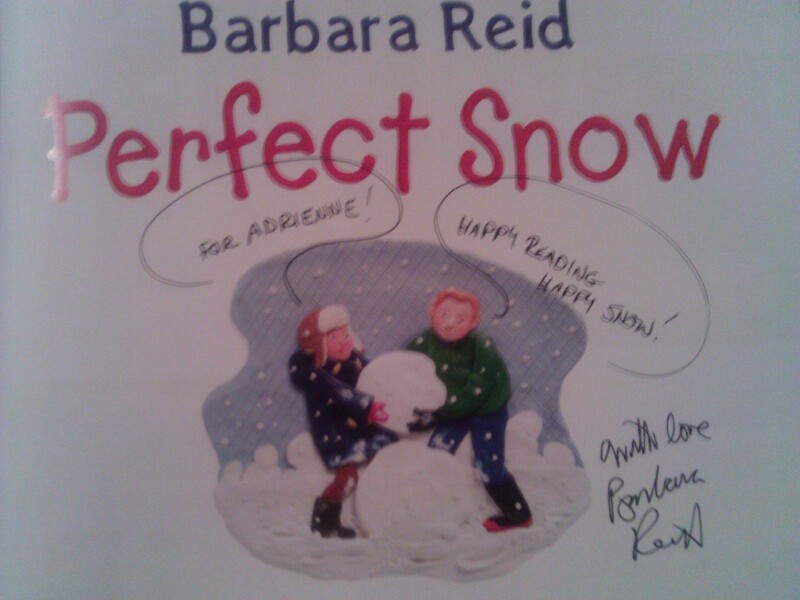 Thrilled to have Barbara Reid sign my book! 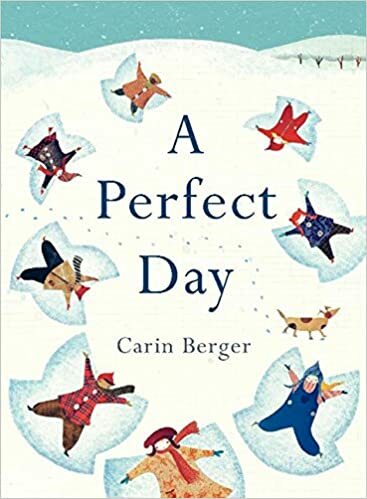 This book, published in 2012, was a finalist for the TD Canadian Children’s Literature Award and a recipient of the Ezra Jack Keats Book Award. WOW – this book is AMAZING! It is based on a true story story of a young boy from China who is a stamp collector and another boy who is a writer. 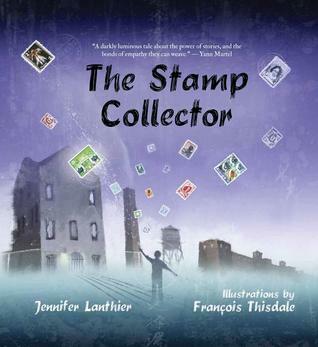 The stamp collector grows up and becomes a prison guard; the writer grows up and, like many writers all over the world, is imprisoned for something he wrote. And thus, the two mens’ lives become connected. The story is powerful and moving. I stood reading it at the Fitzhenry and Whiteside booth at the publishing display and fought back tears! The illustrations by Francois Thisdale are remarkable. 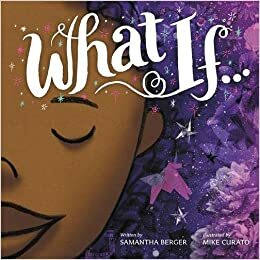 This is definitely a book for older students and excellent for practicing questioning and inferring. This book is brand new and I had a chance to read it at the conference. At first, it seems like a simple story but after a more careful look, you realize how clever it is! A hungry brother and sister are searching for something to eat. 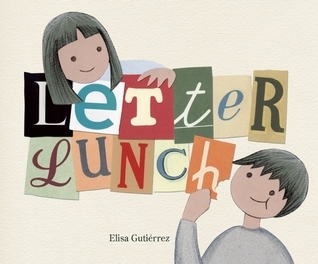 They begin an adventure of “letter searching” – as the two search for letters for lunch! Innovative and creative – kids will love finding letters in everyday places. An alphabet book plus a whole lot more! Now let’s move from a unique alphabet book to a unique counting book! 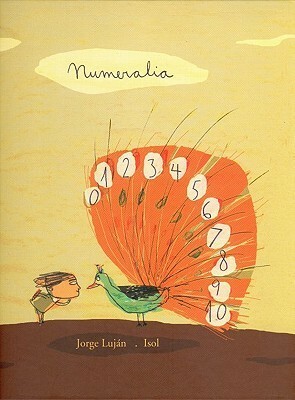 From 0-10, this book illustrates clever and unique examples of numbers. I liked how sometimes the numbers were hidden within the picture and other times represented by the number, some much more obvious than others. I think children will enjoy trying to “infer” the “connections”! My thinking was definitely stretched by this book! The illustrations are quirky and enchanting! 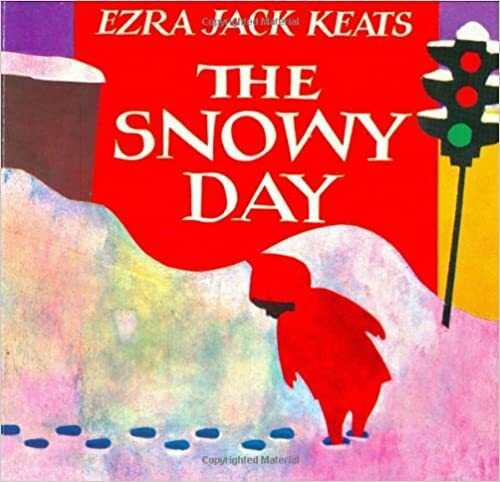 Another charming and clever book that stretches thinking and invites inferences! 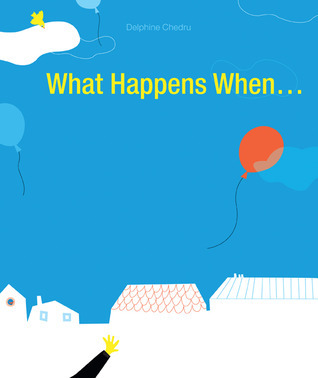 What Happens When…invites the reader to think about all those everyday objects that disappear – the balloon that floats away, the sock that gets lost in the dryer, our shadow when the sun goes down. After each question is posed, the page opens up to reveal a wordless, imaginative possibility of what may have happened to the object. 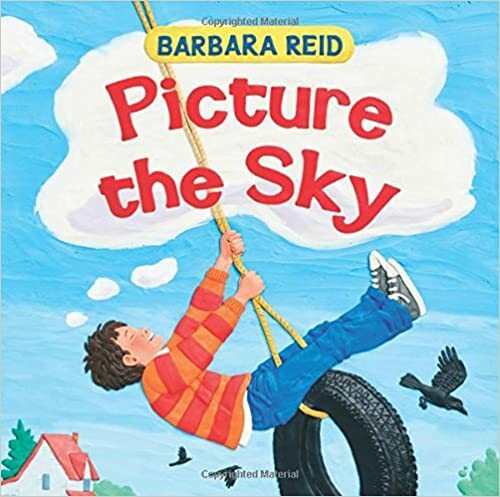 I could see this being a book that students become very engaged in, as well as promotes them to think of their own object that often goes missing and imagine the possibilities of what happens to it. 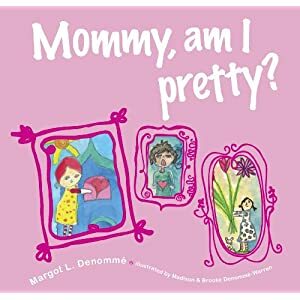 This book has an important message about self esteem and inner beauty and I believe is a MUST read for every parent (especially parents of girls) and teacher! The important message about true beauty being found from within is one that can be shared in every classroom and in every home. 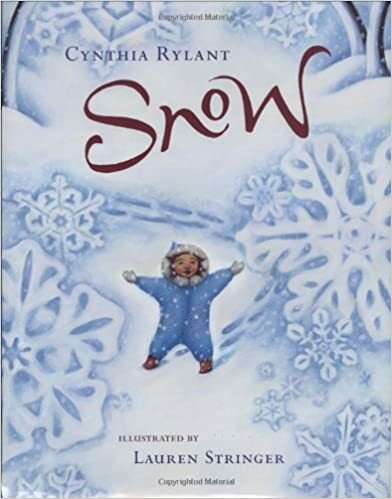 I loved the simplicity of the text and the delightful child-like water color illustrations. A very powerful book! 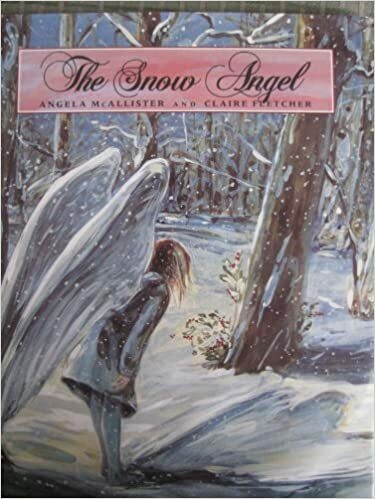 The grade 7 teacher at my school read this book aloud to his class and told me how powerful a book it was and how many rich discussions came from it. “Adrienne – you have got to read this book!” I am very glad he recommended it to me. This book, written by Swedish writer Henning Mankell, is based on the story of real-life land mine victim Sofia Alface. 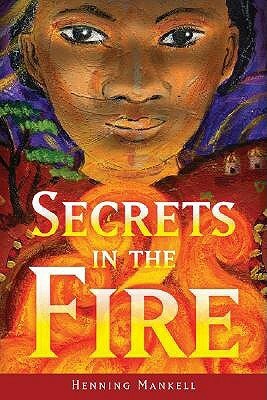 The story tells of this heroic young girl who survives a civil war in her country of Mozambique after the murder of almost everyone in her village. It would make an excellent selection for a literature circle selection for grades 6 and 7 and the book has apparently been adapted for film. Thank you for reading my blog! What books have you been reading this week?